Every dentist wants patients to experience excellent oral health. However, helping patients enjoy their smiles involves more than providing dental healthcare – it requires providing complete cosmetic dentistry too. Cosmetic dentistry has evolved over the decades as a popular branch of dental care, allowing people the opportunity to have smile makeovers that can dramatically improve their appearance and self-confidence. Cowlitz River Dental performs cosmetic dentistry, providing smile makeovers for our patients in southwestern Washington and northwestern Oregon. Contact us today to schedule your first appointment with Dr. Kennington. Porcelain veneers are high-quality and very thin restorations. This allows our team to fit them in place over the front surfaces of natural teeth, beautifully transforming their appearance while still preserving much of the natural structure of your smile underneath. Veneers are highly versatile and can be used to correct chips, cracks, stains, gaps, misalignments, and more. 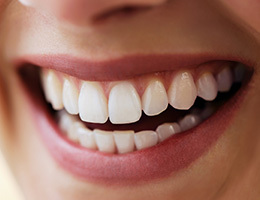 Veneers may be used to adjust the size, shape, or length of certain teeth to make them more uniform. Restorative additions to a patient’s smile don’t necessarily have to be dark colored or unnatural looking. At Cowlitz River Dental, our team offers metal-free dental crowns, inlays, onlays, bridges, and more that are crafted from ceramic materials. This type of restoration is so lifelike that it even shares the same translucent qualities as original tooth enamel, helping your smile shine with confidence. It’s also durable, comfortable, and biocompatible, which is good news for patients who have struggled with sensitivities or allergies to traditional dental materials in the past. Cosmetic dental bonding is a versatile cosmetic dentistry treatment that can reshape a smile damaged by chips and cracks. Using tooth-colored composite resin, which can be molded to change the shape of a damaged tooth, we can fill in small gaps and even change the size and shape of teeth. Cosmetic dental bonding is a more conservative smile makeover treatment than porcelain veneers, so those who need minor fixes to small problems may prefer this cosmetic dentistry treatment from Cowlitz River Dental. Teeth can become stained and/or discolored over time for a variety of reasons, including certain drinks and food choices (such as wine and coffee), the use of medication, poor oral hygiene, and even genetics. 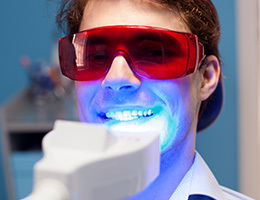 Our Castle Rock practice is happy to help patients refresh their enamel’s shine with teeth whitening solutions. Fast in-office treatment and flexible take-home kits are both available, depending on your preferences. 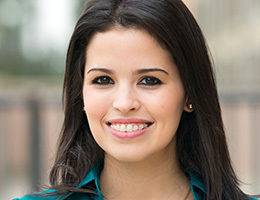 Undergoing orthodontic treatment doesn’t have to involve metal braces and brackets. 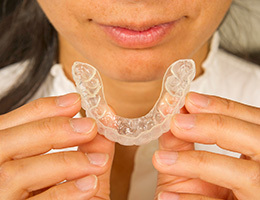 At Cowlitz River Dental, we offer Invisalign clear aligners as an aesthetically friendly alternative that may be ideal for patients who wish to maintain a professional, polished image throughout treatment. Each aligner represents a different stage of your smile as teeth gradually shift, and their clear, removable nature is very subtle and easy to use. With Six Month Smiles, orthodontic treatment doesn’t have to require years of a patient’s time to successfully complete. This technique only focuses on correcting the teeth that actually show in your smile, applying consistent pressure. Better yet, Six Month Smiles uses clear brackets and tooth-colored wires for a very subtle appearance, which helps patients continue to smile brighter. Like the name implies, most patients will have achieved their desired changes over an average of six months. Perhaps your smile has been through a lot, causing extensive damage and requiring advanced attention. By combining multiple cosmetic dentistry treatments with restorative procedures, we can create a plan for your comprehensive smile makeover. Discolored, cracked, chipped, crooked, and worn smiles can be transformed with cosmetic dentistry treatments such as teeth whitening, porcelain veneers, Invisalign, and dental implants. Our Castle Rock, WA office has performed many smile makeovers for patients in our community, improving quality of life for neighbors and friends. If you would like to find out what we can do for your smile, visit our dental office for a cosmetic dentistry consultation.